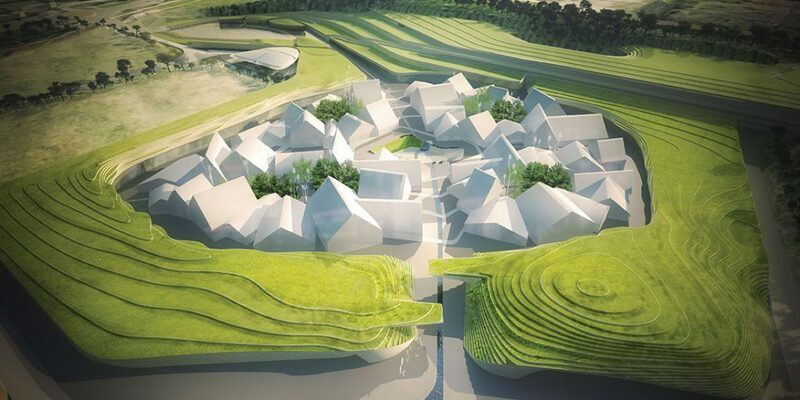 Home > Posts > Agenda > Economic vitality: THE VILLAGE, a brand village 30 minutes from Lyon! THE VILLAGE will be the region’s second brand village and it opens this Friday 18 May, twenty years after the opening of Marques Avenue in Romans-sur-Isère. The shopping complex is located between Villefontaine and La Verpillière, in an area under ADERLY’s remit in the conurbation of Porte de l’Isere (CAPI). The 31,000 sq. m venue will house nearly 80 retailers and a food court, as well as a free 2000-space car park. This represents an investment of 145 to 150 million euros, 114 invested by Compagnie de Phalsbourg, the promoter who won the call for projects. The project is labeled HQE® (high environmental quality) and has created 400 jobs. When completed, the venue should accommodate 120 luxury, premium luxury and sports brands and create a total of 550 jobs. Philippe Journo, President of Compagnie de Phalsbourg, aims to make it a central point of “commercial tourism”. Faithful to his philosophy of “building the France of tomorrow”, he has designed the space to be dynamic and constantly animated, in particular by calling upon Franco Dragone, who directed many Cirque du Soleil shows, and asked him to choreograph one event per day. There is also a play area for children. “The idea is to offer a unique experience, and to have a good time,” says Philippe Journo. 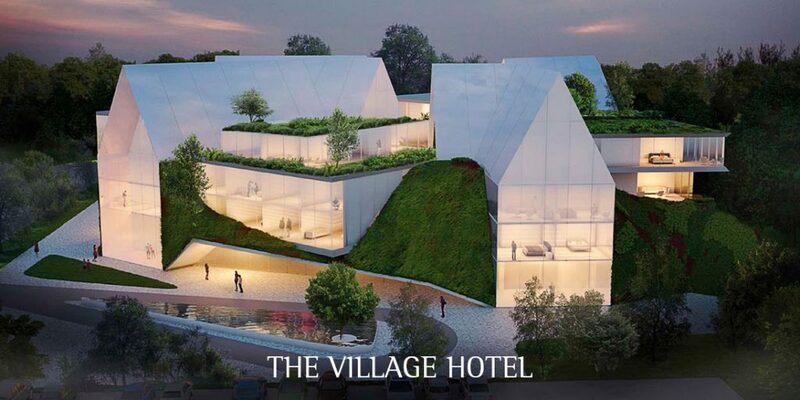 THE VILLAGE will boast a 4-star hotel by 2020. A contraction of “physical” and “digital”, the “phygital” refers to and offer of both physical and digital services. THE VILLAGE offers both in a bid to compete with e-commerce. Thus, customers can order their items on a digital platform and have them delivered, or reserve items and retrieve them from stores.